You are here: Home > Who is God? 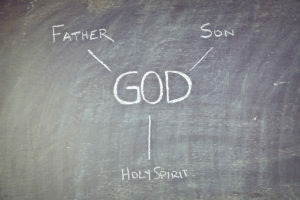 We acknowledge and believe in one God in three persons – God the Father, God the Son, and God the Holy Spirit. We believe that God the Father created the universe. He is loving, compassionate, just and kind. His deepest desire is to live in an intimate relationship with all people. We believe that, because of His desire to live in a relationship with us, God became a human being. Jesus Christ, born of a virgin, is fully God and fully man. Through His death and resurrection, Jesus made it possible for all people to live in a relationship with God. We believe that Jesus Christ is the Way, the Truth, and the Life (John 14:6). It is only through Jesus that people can enter into a relationship with God. We believe that the Holy Spirit is the presence and power of Jesus Christ among us today. Through the Holy Spirit we experience the love and power of God. The Holy Spirit gives each Christian spiritual gifts and abilities so that we can serve others.